It is beyond ironic that members of a group devoted to peace, equality and tolerance were violently slaughtered in what the FBI is investigating as an act of domestic terrorism. Why did this violent attack occur? It now appears that the gunman, Wade Michael Page, was a man filled with hatred who had affiliations with white supremacist groups. It is not clear why he singled out the Sikhs in order to vent his rage at non-white people, but some members of the temple suggested that Page may have confused the turban-wearing Sikhs with members of the Taliban, who also wear turbans. Unfortunately, this country has seen several shooting rampages of this nature in the past, such as Columbine, the Arizona attack in which Gabrielle Giffords was wounded (and several other people were killed or wounded), and the more recent Colorado shootings. 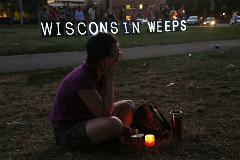 There are many things which could be said about the Oak Creek shootings, but I will address only two points here. First, the attempts to answer the haunting question “Why?” have begun, and the answers that are emerging are complex and confusing. It is easy to say Page shot his victims because he was a white supremacist, but how did he end up that way? How does someone become so hate-filled that he actually thinks Hitler was a good guy? As a family and children’s law scholar, I can say that the first presumption is often that something went awry in his childhood – witness the parent-bashing that occurred after Columbine, even though there were no real facts to justify blaming the parents there. Yet today, Page’s sobbing stepmother told media sources that she has no idea what could have made Page do this. In a New York Times article, Laura Page described her stepson as “a precious little boy” who was a “mellow” and “soft-spoken” lover of music, camping, fishing, and Monopoly. Wade Page lost his mother when he was only 12 or 13, and he took it hard, but many children have suffered the death of a parent without growing into mass murderers. It is a troubling truth that the best parenting in the world cannot guarantee that a child will grow into a good member of society, and conversely even children who suffer horrible maltreatment may grow into wonderful citizens. My second observation is that the fear of people who are “different from us” seems to be growing in some segments of society. We have seen a lot of angry young men with guns lately – and for the moment it does seem to be mainly men. Why are they so violent and angry? Are they frightened, misguided, mentally ill, misinformed, afraid, evil, or some combination thereof? The answer is probably slightly different for each of them, but to echo the French editorial of a decade ago, we all need to act so as to reduce the fear and hatred that drives these terrorists. We need to educate ourselves and others about the different racial, religious and cultural traditions in our community. We need to speak up when others make prejudiced comments. We need to recognize that there is more than one way to worship God, more than one way to raise our children, and more than one way to be patriotic. We need to listen with kindness and openness to people who are in some way different from us. In the end, though, we are more the same than different. We are all trying to find our way and live our lives. We stand beside our Sikh neighbors in their tragedy, and like them we are all vulnerable. We are all Sikhs. I agree with this post. But I would be remiss if I did not point out the United States, under false pretenses, launched a war of aggression against the sovereign nation of Iraq. The result was the death of anywhere between 100,000 and 500,000 innocent civilians. Many towns and villages were totally destroyed. Obviously, the man in Oak Creek was a demented lunatic, whatever his motives. But what of the United States? If to kill seven people in a rampage raises a world-wide hue and cry, as it should, why is killing 100,000 people in a false war not seen in the same light? Those are nice thoughts, Melissa. We need to move the whole world away from using militarism and violence as a way of solving problems to peaceful ways. We should start at home. One way to do it would be to use the United Nations for the purpose for which it was designed. Today’s United Nations is just a meaningless debating society. If they get rid of the security council veto and start from the premise that all sovereign countries are equals, that would be a good start. War and killing should always be the last resort, not the first. In the meantime, we as a country should place the same demands on and questions to our government that we put to situations like the tragedy in Oak Creek.